IJOY Tornado 150 Sub Ohm RTA Tank is the evolution of the iJOY Tornado Nano, and Tornado 150 is slightly smaller, it has a 4.2ml liquild capacity and 25mm diameter, best match to iJOY MAXO 315W TC Box Mod. IJOY Tornado 150 Sub Ohm RTA Tank is the evolution of the iJOY Tornado Nano, and Tornado 150 is slightly smaller. iJOY Tornado 150 RTA atomizer has a 4.2ml liquild capacity and 25mm diameter, stainless steel construction is strong and durable, Tornado 150 is best match to iJOY MAXO 315W TC Box Mod. The most prominent feature of IJOY Tornado 150 Sub Ohm RTA is that its dual capabilities of running either sub ohm coil heads and the included two-post RTA build deck, and the dual adjustable airflow slots at the base provides more than enough air to produce award-winning clouds, the iJOY Tornado 150 Sub-Ohm RTA Tank has an 8.5mm ID sloped Delrin mouthpiece that serves as the top cap as well. Black and Steel colors for choose. 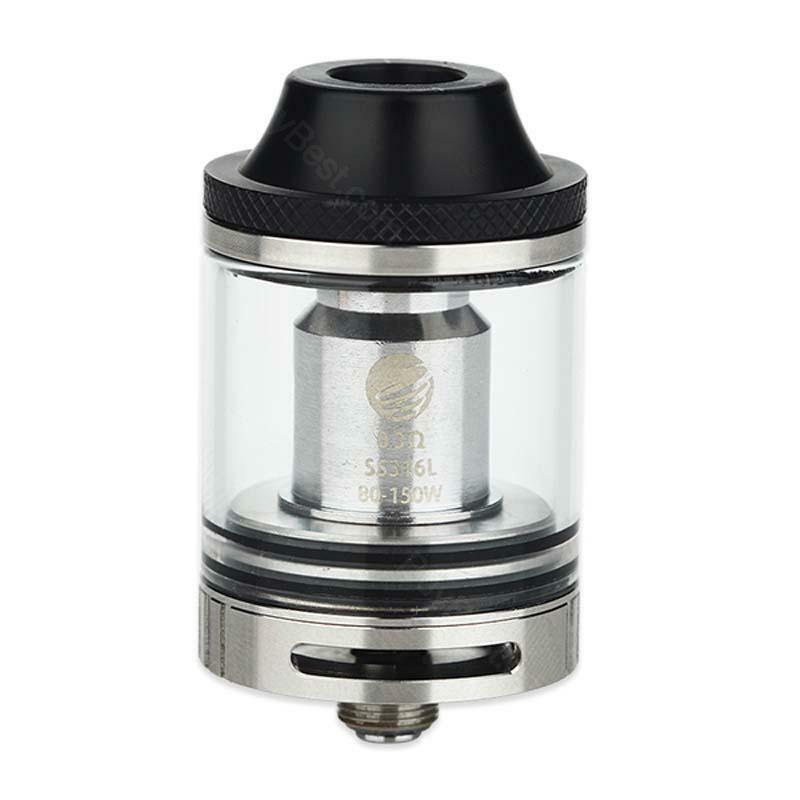 • You can buy premade coil and RTA coil separately. 1 Liquid reicht bei mir etwa 3 Tage. Preis/Leistung ist sehr gut. Lieferung erfolgte sehr schnell.Würde IJOY Tornado weiter empfehlen. With all of the attachment options you can easily find a way to carry IJOY Tornado 150 Sub Ohm RTA Tank in any situation.